Imusa Jumbo Cooker & Sauce Pan Set has all the basics covered. The large jumbo cooker is perfect for sauteing vegetables and meats, frying chicken, eggs, or sandwiches. The deep side walls give extra capacity so that you can braise, deglaze, or add additional ingredients after browning for recipes such as chicken and rice (‘arroz con pollo’). 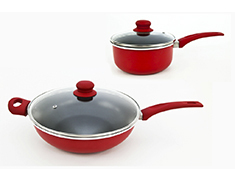 The IMUSA sauce pan is the perfect size for cooking rice, preparing sauces, or warming soups. 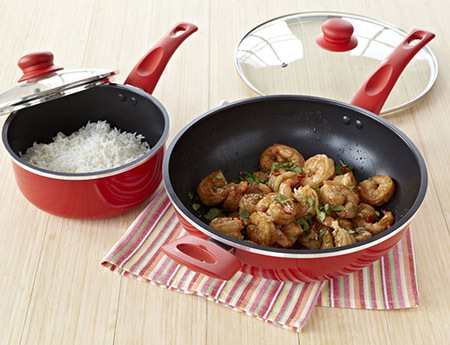 The non-stick surface allows you to use less oil when cooking and makes clean-up a breeze!